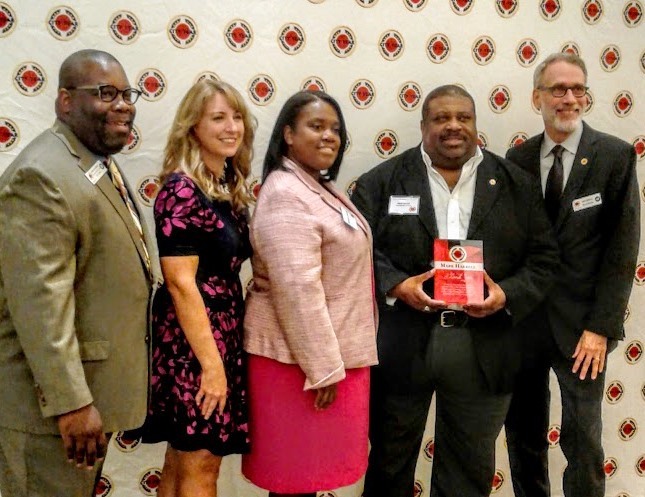 NAC Coordinator, Mark Harrell was recognized for his service as a Founding Board Member for City Year Philadelphia in a Farewell Celebration on September 22nd at the Comcast Center as he transitions off of the Board. His association with City Year began 20 years ago when the AmeriCorps program first came to Philadelphia. City Year believes that education has the power to help every child reach his or her potential. However, in high-poverty communities there are external factors and obstacles students are faced with every day that can interfere with their ability to get to school ready to learn. So City Year steps up to the challenge. Starting in September, more than 200 City Year Philadelphia AmeriCorps members began their service at 18 local public and charter schools that are continuously tracked and measured for impact.